Just announced on Saturday morning, Brut@l was a title that opened a lot of eyes when it was unveiled at the PlayStation Experience 2015 keynote, and it definitely opened our eyes when we found it playable on the show floor. 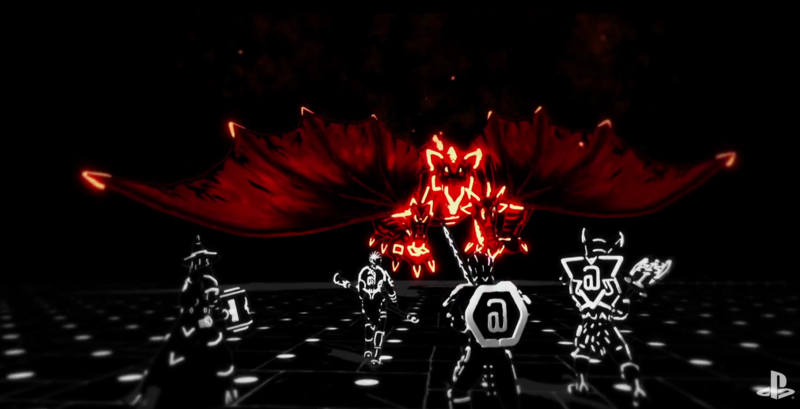 From the announcement trailer, Brut@l looked like it was going to be a game that was a play on ASCII. Thankfully, it’s only the game’s art design that draws inspiration from ASCII. 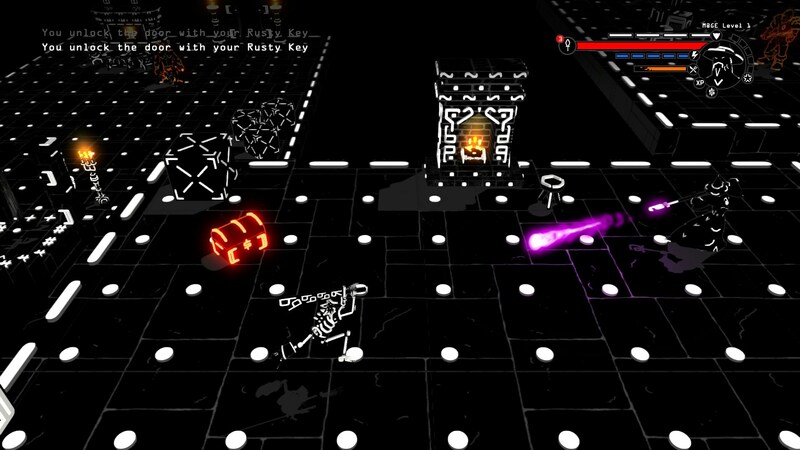 At its core, Brut@l is a dungeon-crawler with a dynamic art design primarily comprised and consisting of everything ASCII. All the action is three-dimensional, but it appears on a flat code-laden plain. You choose your hero: the ranger, mage, warrior, or amazon, each with certain strengths and weakness and claw your way through procedurally generated worlds constructed with digital code. The object of the game is to get to the 26th floor and beat the boss, but as with any roguelike, that’s easier said than done. Mmmm… dots, O’s, @ symbols, glowing treasure chests, and beams that’ll kill you. One thing I noticed was that the amazon had to be standing directly adjacent to her target in order to land a strike, which rendered running attacks and other strikes based on timing useless. I didn’t try out any other character, so I don’t know if that was purposely done, but it definitely made the game harder–so that probably was intentional. Aside from your typical melee strikes, there’s light platforming and while in the air you can also do a devastating ground-point move. It doesn’t end there either, as your shield is also a weapon. Tapping the right shoulder button allows you to throw it “Captain America” style, but it takes a while for it to come back which could also prove deadly as it’s your only form of defense aside from running. As you explore each room in the dungeon, you’ll find a bunch of letters that you can use to construct weapons, and you’ll also find other loot that’ll allow you to craft potions. Like other roguelike games, potions aren’t always a good thing. You have the option of making potions in various colors, but you won’t know what they do until you either use them or throw them at enemies, so don’t be surprised if you throw a potion at an enemy that makes them stronger. There’s also this collection box you can come to, where you can donate your currency to get a rare extra life. You can donate any amount you want, but if you donate a laughable amount, the box will explode and you’ll never be able to use it. However, if you donate enough, you’ll immediately be revived at the point where you died, so it’s a worthy catch-22. The build I played was only one player, but we were also told that there’s couch multiplayer available, which brought me some nostalgia thinking about the days where my friends and I played Gauntlet on the N64, except the game looks more like a cross between “Tron” and MadWorld. 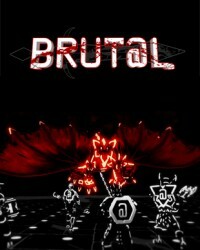 Brut@l is due out early next year, and you can expect a review from us upon release. Just announced on Saturday morning, Brut@l was a title that opened a lot of eyes when it was unveiled at the PlayStation Experience 2015 keynote, and it definitely opened our eyes when we found it playable on the show floor….